What Is The Signs And Symptoms Of Alice In Wonderland Syndrome? 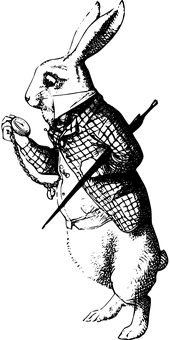 Home health What Is The Signs And Symptoms Of Alice In Wonderland Syndrome? Alice in Wonderland syndrome gets its name from Lewis Carroll's story in which a young girl goes on an adventure down a rabbit hole. During her adventure, she has food and drink that calls her to grow and shrink in size. Alice in Wonderland syndrome is a pretty mind-bending condition, literally. 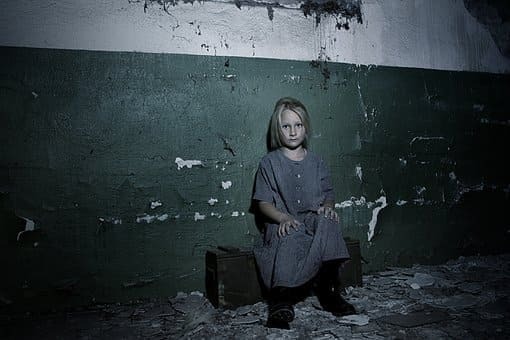 This syndrome is so named because when a person has it usually a child, they often experience strange sensations of growing and shrinking, among a list of other weird phenomena. This disorienting neurological disorder also known as Todd syndrome, is really an exaggerated migraine aura that affects visual perception, hearing, the sense of touch and body image. In other words, those struck with Alice in Wonderland syndrome experience a journey similar to Alice's when she fell down the rabbit hole. The temporary condition afflicts children more often than adults and comes on at the beginning of a migraine just as an aura does. The two visual symptoms most commonly associated with Alice in Wonderland syndrome are macrospia which is mistakenly perceiving objects as being too big and micropsia which is mistakenly perceiving objects as being too small. For example, if you saw a rabbit and it looked like it was the size of a horse that's a case of macropsia. If you saw a car parked on the street and it looked like a little toy car that's a case of micropsia. Additionally, a person may experience teleopsia in which objects look like they are farther away than they actually are or pelopsia in which objects look like they are closer than they actually are. If a be flying by looks miles away or the clouds above your head look close enough to touch you may be experiencing these symptoms. These scale and distance problems can also happen to the body of the person with the disorder as well. most commonly leading to sensations of growing or shrinking, either of the whole body or of parts of the body. The sensation of growing is called macrosomatognosia while the sensation of shrinking is called microsomatognosia. Many other less common phenomena are occasionally associated with this disorder as well. There might be perceptions of time or objects moving too quickly called the quick motion phenomenon. There are even reports of changes in perceptions of weight, length, colour and straight lines becoming extra wavy. 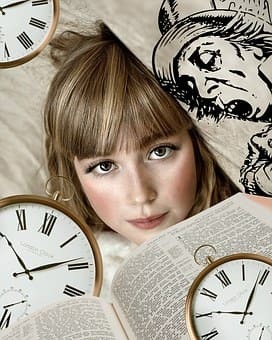 Alice in Wonderland syndrome is often affiliated with seizures migraines and a virus called Epstein-Barr, these especially occur in children. By one recent estimate, 78% of Alice in Wonderland syndrome cases occur in children less than 18 years old. 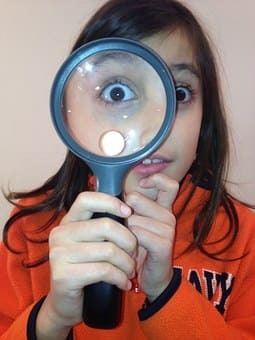 The reason that children seem to develop these symptoms more often than adults seems to be due to the fact that the visual system and children is somewhat different. Especially in an area called the ventral pathway of the visual cortex. When patterns of unusual brain excitement happen in this region such as during a migraine or seizure children have more pronounced visual symptoms than adults. Researchers looking inside the brain of children who are experiencing the syndrome discovered that there were sudden increases in electrical activity in areas of the brain that control vision and that processed texture shape and size. Fortunately, the syndrome becomes less common as children with migraines get older. Alice in Wonderland syndrome leaves a person unable to judge the size and length of everyday objects and distances as well as the origins of sounds. They also lose the ability to control their sense of touch. The symptoms are usually temporary but while the distortions are occurring this is one of the most wonderfully unusual ways that your brain can break. Alice's journey down the rabbit hole makes a little more sense and as with most migraine-related issues, you should explore the most effective and safest treatment options with your doctor.